To apply, use the dropper to dispense two drops of oil onto the fingers. Massage it into the face and neck before moisturiser. It can be used on its own or underneath moisturiser as an added layer of hydration. First off, for an oil, Balance Me's Radiance Face Oil absorbs pretty quickly. Some oils can take a while to absorb, but this has no such issues. In regards to results though, I find this oil to be great at reducing red marks. It evens out the complexion beautifully, all whilst plumping out the skin too. But what about it's name? Does it provide radiance? Yes. Lots of it. It actually brings dull skin back to life, which is done whilst soothing it too. 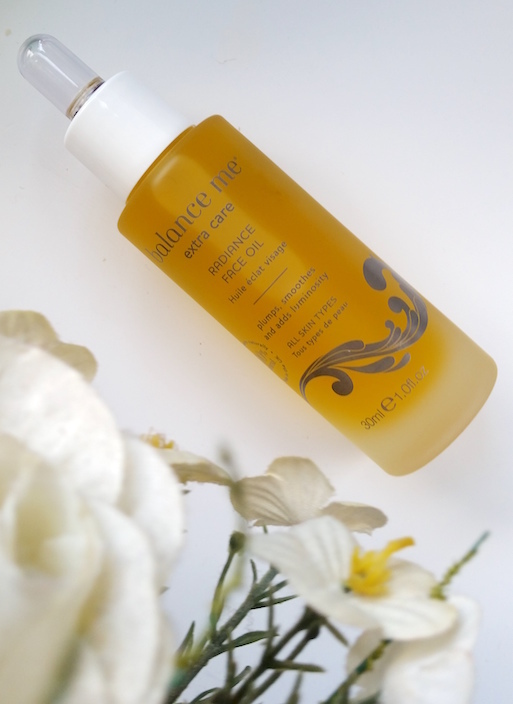 The skin feels comfortable, looks radiant, revitalised, even and plumper. It feels like velvet and it's also great on sensitive skin. In fact, this oil is almost a flawless product. Almost. My only gripe is that I'm not sure yet if it is well suited to those with oily skin. I have oily skin and whilst at first there is no greasiness left behind, it comes with a vengeance after a few hours or so, much more than normal. Therefore, I do prefer using this at night as the benefits can be felt without the shine. However, I have found that if used on oily skin during the day, you can always just use it alone without moisturiser which helps somewhat with the shininess. This is particularly true if you stick to the two recommended drops of product and don't overdo it. When this is done, the issue is nowhere near as noticeable. Personally though, I prefer using this at night underneath my moisturiser. It is like waking up with new, fresher skin, ready for whatever the day has to throw at you. When used on normal to dry skin, I can't imagine any of the above being such an issue. If it works so well for me with the oily skin, I can only imagine it being far better on other skin types. Even though I have a slight issue with the oily skin problem, I like this face oil a lot. It may take a little tweaking to get it to sit perfectly in your routine if you also suffer from oily skin, but once you get there it is more than beneficial. It's almost like magic! With this face oil, the pros out weigh the cons, so it still gets a solid recommendation from me. 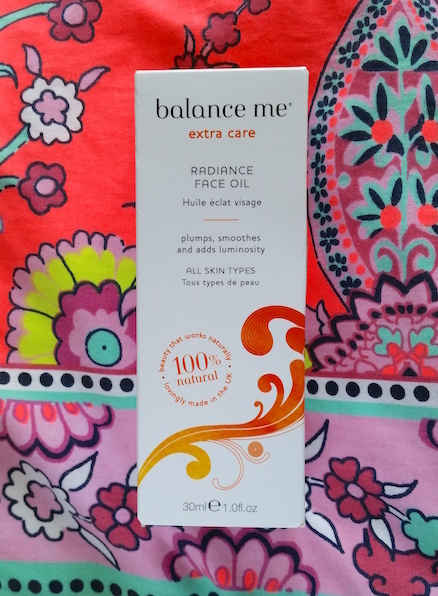 You can purchase the Balance Me Radiance Face Oil for £30/30ml from Look Fantastic. 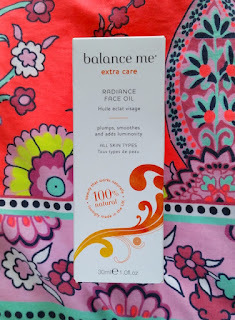 What are your thoughts on the Balance Me Radiance Face Oil? Does your skin get on well with oils?